A communication system is certainly not only endorsed by one of the two components or devices only. In it there are surely lots of blend components that cooperate with each other. The combination and cooperation will yield lots of benefits for the transfer of information. Thus, be a communication system. Inside are the process of modulation signals so that the information can actually be made possible was carried through the air. And upon arrival at the destination location, the modulation will happen to open the original information return. If running in long distances then the signal booster is definitely needed. 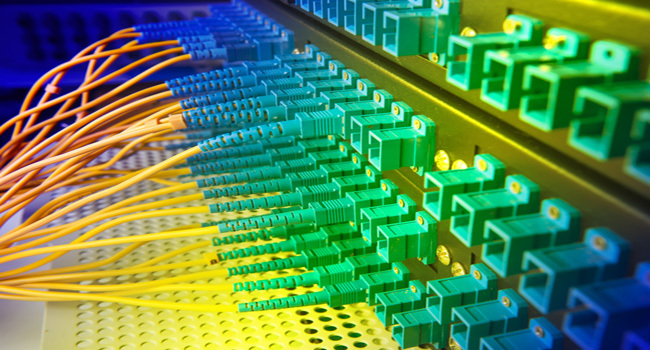 This is the origin of the source of the occurrence of optical fiber communications systems. Light, natural components that have a lot of excess functions with so clever to carry data at speeds and bandwidth is very high. All the advantages of light seemed to be utilized here. The high speed of light, the light is immune to disturbances, the light is capable of walking away, everything will you feel by using this fiber optic media. Optical transmitter is a component that is in charge to transmit light signals into media . In this component took place a process change electronic signals into analog or digital signals are a form of light. This is the signal that later served as the signal corresponding to your data. 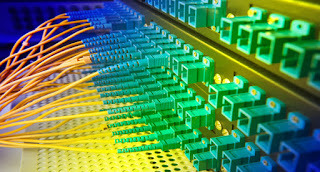 Optical transmitter is physically very close to the fiber optic media on its use. And even optical transmitter is equipped with a lens that will focus the light into a fiber optic media. This component of the light source can be varied. Light sources usually used is a Light Emitting Diode (LED) or solid state laser diodes. Light sources using LEDS consume less power than a laser. However, as a consequence, the light emitted by the LEDS could not be drove so far of the laser. Optical re generator or in Indonesian language signal light, is actually a component that does not need to exist when you use fiber optic media in close quarters only. Light signals you send will be degraded within approximately 1 km. Hence, if you are indeed playing in the distance, the main component of this component as well. Usually optical generator hooked up amid the fiber optic media to further strengthen the weak signals. Optical receiver has the task to capture all the light transmitted by the optical transmitter. After the light captured from fiber optic media, then this signal will be decode into digital signals that no other information is sent. Once a digital electrical signal, decodes the last sent to the process system like for example to television, to the computer, to the phone, and many other digital devices again. Usually this is a receiver of optical light sensor photocell or photo diode as a very delicate and sensitive to changes in light.